What Goes Well With Pomelo? Use pomelos in a salad with chili, lime, peanuts and coconut. Seafood pairs perfectly with this citrus fruit in dishes like this pomelo and shrimp salad. 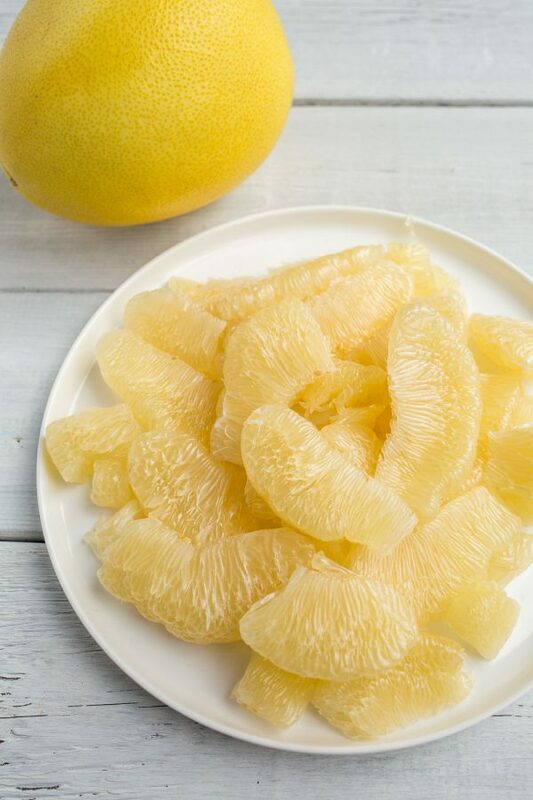 Turn the peel of pomelos into a vibrant marmalade.